In a stunning vote of no-confidence in the MeNZB vaccine technology, Chiron (now called Novartis Vaccines) has announced the launch of clinical trials for a genetically engineered vaccine to fight meningococcal B disease. In news reports of Chiron's new trials (See… Vaccine for the deadliest strain of meningitis – Daily Mail 7th November 2006), they say, "The development of a trial vaccine is being hailed as a major breakthrough. At present there are vaccines for [various bacteria], but a vaccine for the B strain of the disease has so far been elusive..."
No mention is made of the controversial experimental MeNZB vaccine trademarked to Chiron and used on over one million New Zealand children. The Novartis Vaccines news release expresses concern that the meningococcal B bacteria can mutate, leading to the creation of several sub-strains. "Scientists have now been able to develop a vaccine that is effective against such mutations. Previously this problem had hindered them starting human trials," the release said. When the MeNZB vaccine was first introduced Ministry of Health advisor and Chiron researcher Professor Keith Cartwright expressed concern about strain mutation. 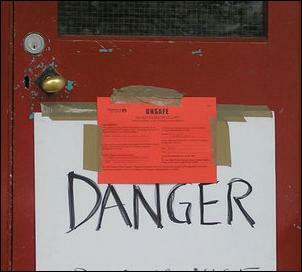 At that time the Ministry of Health denied that mutation was a possibility. 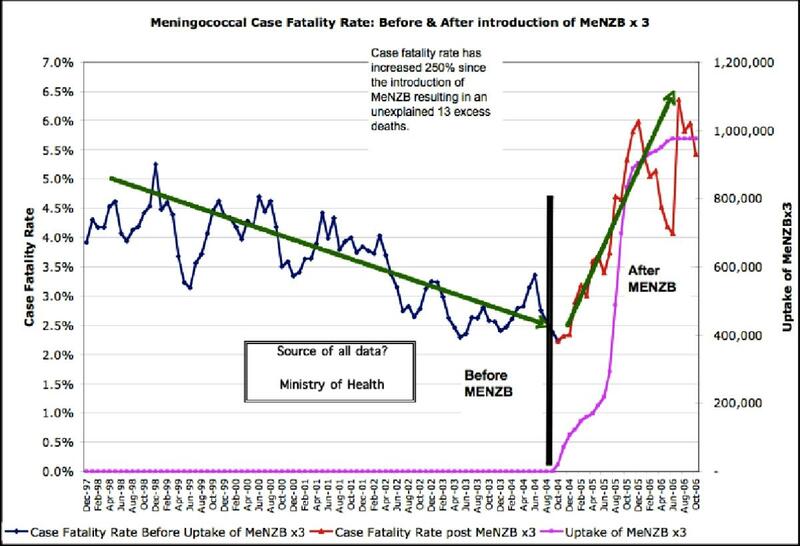 The meningococcal disease case fatality rate has increased by 250 percent since the MeNZB vaccine was rolled out resulting in 13 unexplained deaths. Chiron Vaccines received well over $NZ100 million from the New Zealand taxpayer to broker, research and rollout the experimental MeNZB vaccine. Figures released last week reveal that Waikato children given the MeNZB vaccine actually have a higher risk of contracting meningococcal disease than unvaccinated children. Since January 2005 all five deaths due to meningococcal disease in under twenty year olds have been in children vaccinated with MeNZB; not one unvaccinated child has died! Meanwhile, despite the Norwegian government banning the export of over a million doses of their unsafe meningococcal B vaccine destined for France, 4,000 healthy babies are injected with the equivalent MeNZB toxin in New Zealand every week!